Avant has developed a new and efficient drive system in its loaders that reduces power loss in the unit by around 10 per cent, saving fuel in the process. The new Optidrive system uses fewer hydraulic hoses and fittings than the old system, increasing oil flow and subsequent cooling of the drive system. Optidrive is also used on the all-electric e5 model, which helps makes more efficient use of the battery power. 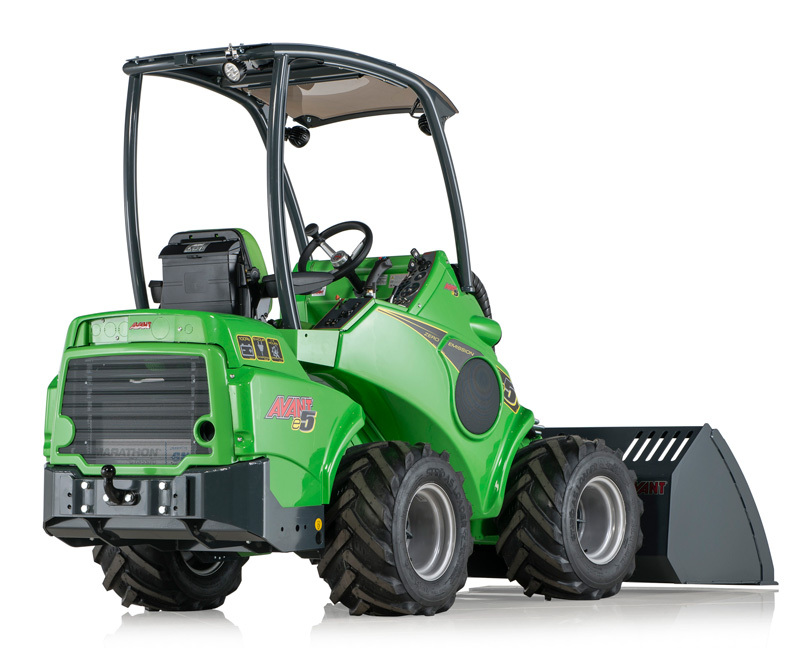 Traditionally, the drive system used in Avant loaders consists of a variable displacement hydraulic pump, four hydraulic drive motors and some valves which are connected together with hydraulic hoses and fittings. This system, where the drive power is conveyed from engine (electric motor on Avant e series) to the wheels using hydraulic oil, is often referred to as drive circuit. Instead of mechanical axles Avant uses a design where there are four separate hydraulic drive motors, one on each wheel of the loader. Avant was the first manufacturer to design and utilise such a system in a compact loader. 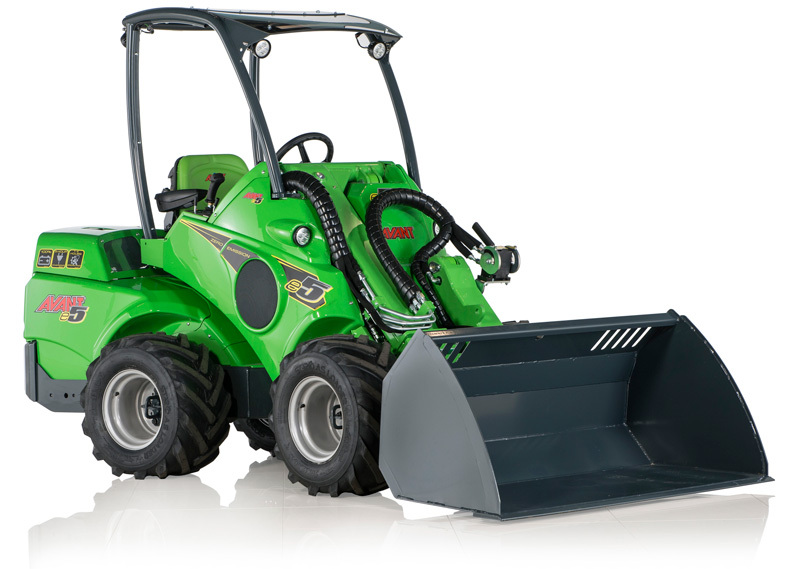 This system has proven to be very effective, offering lots of pushing power and yet enabling a very compact design to the loader while maintaining an extremely low centre of gravity, which is an important part of the stability of Avant loaders. Through research and development, Avant has now improved this system with an innovative way of rethinking. When hydraulic oil flows at high flow rate in the drive circuit, in hydraulic hoses, fittings, motors and valves, the resistance in these components heats up the hydraulic oil. The more hoses and fittings there are the quicker the oil heats up, which means all that unnecessary heat generated in the system uses a part of the engine output in vain. This also results in higher fuel consumption, and less engine power is available for the actual job. With the new Optidrive system, the amount of hydraulic hoses and fittings has been radically reduced and optimised. Optidrive reduces the power loss in the system by up to 1.5kW, which is roughly 10 per cent of the total power used in drive circuit. This means lower fuel consumption, less heat in the hydraulic system and more power for the actual job. All of the four hydraulic drive motors in the drive circuit use flushing oil to cool the motors down when the loader is working. On Optidrive the amount of flushing oil in the drive motors is five times bigger compared to the old system, providing a far better cooling of the drive circuit. Depending on the Avant model, the Optidrive eliminates at least three hoses from the system without losing any of the features on the loader. This is achieved through an intelligent new design with the valves (drive release valve, parking brake valve, dual-speed valve) mounted together on one hydraulic block. Optidrive features around 30 fewer fittings compared to the old drive circuit. There are also significantly fewer 90-degree-angle fittings and T-junction fittings which are less optimal for hydraulic flow. In order to get the best possible grip on all load and terrain situations, the parking brake on the Optidrive is situated in the rear wheels of the loader. Rear weights, load on the boom, uphill, downhill etc., have therefore a smaller effect on the loader’s rear wheels and thus the loader stays more securely on place when the parking brake is engaged. Optidrive also has an effect on the weight and balance of the engine and pump assembly on the loader. The altered weight distribution also leads to developing new engine mounts (vibration dampers) that are optimised to the new load and balance of the assembly.